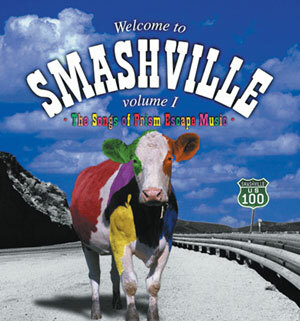 Take the harmony highway past the rainbow cow and you will find Smashville, widely known as "Music City" in an alternate universe. This isn’t Gnashville or Bashville, it is country music on a higher plane. Producer/songwriter George A. Gesner teams up with a sterling cast of top-notch songwriters, vocalists, and musicians as GAG Order Records is proud to present these future chart toppers. Featured vocalists include: Jim Barbaro, Carolee Goodgold, Tanya Leah, Clay Mills, Nikki Gregeroff, and Dusty Blue. For all of you who like alternative country or country alternatives, welcome to Smashville.